Personally I always liked the green ranger.... he had a bit of an edge y'know? Which series are you from Ninja Storm or Dino Thunder? 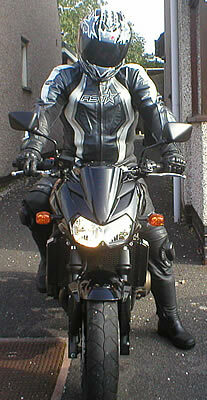 Actually I'm just jealous 'cos my SV has been off the road for nearly a month after failing the MOT. It fecking better feel amazing after the money I've spent on it! I know what you mean, bike stuff is hideously expensive. I'm lucky in that my mate Andy is mechanic and a bike enthuisiast, so when stuff needs fitting he can guide me.